Cedar is currently one of the most common trees. It is often cultivated by gardeners. Often there is a need to transplant cedar. However, not every gardener knows how to correctly perform this operation. At the moment, most gardeners transplant trees with a clod of earth. This method can be applied for coniferous trees. 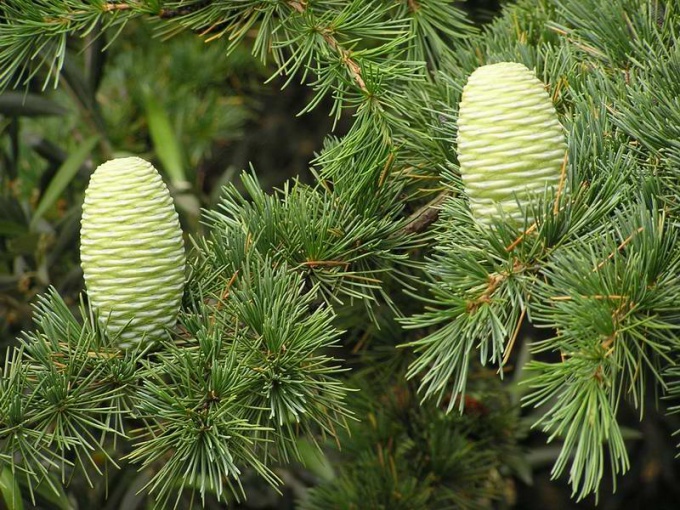 Conifers are considered to be rather whimsical trees, so they tolerate the transplant very painful. You will be required to reduce to a minimum any possible damage. If you want to put your site in cedar, be sure to consider some rules. The main rule is to maximize the preservation of earthen coma. The Siberian cedar has a very spreading root system. It is located near the soil surface and is much wider than the crown. Therefore, to calculate the diameter of the excavation is very difficult. These actions are essential. The fact that the power of Siberian cedar is a minor, moccasym roots, which are located on the periphery of the root system. Moscovie roots grow very slowly and break easily. A shovel accidentally, you can cut the roots that lead to the death of cedar. That is why you need to dig very carefully to avoid damage to the root system. It is best to perform the transplant of cedar, when he is about 5 years. At this time it has a trunk that is no wider than 2 centimeters in diameter and a height of not more than 1 meter. This tree has quite transportable earth com. Try to imagine the size and weight will have the earth com Mature and high seedlings. It does not really save during transportation and planting. There will be a drying of the earth and shedding along with the roots. Large roots are laid bare, that in any case will lead to a weakening of the whole tree. Note, even the cedars, are grown artificially, can have difficulty adapting to the new terrain. It is therefore necessary to acquire several cedars have a reliable supplier that provides a guarantee for survival.